"L" = length in metre, measured 3% of (B + G) above L.W.L. Sail plan and sail area "S" in formula: Height of sail plan above deck to be equal or less 1.5 x length of base of sail plan. If heigth is more than 1.5 x base, base used in calculating "S" should be 2/3 of actual height such as the difference is added to the footing of the main sail. Quarantine: To qualify for the N.L. Class the yacht should be at least two (2) years old. In October 1919 the new international R-rule was agreed upon. At the same time it was decided to continue the international sailing cooperation within I.Y.R.U. 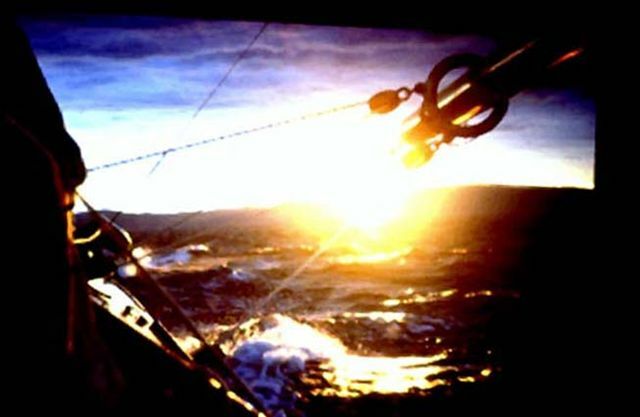 and discussion arose within the Scandinavian countries as to the future role of SSF – Scandinavian Sailing Federation. SSF was started in 1915 with the objective of coordinating activities between Denmark, Norway and Sweden during the war and actively work for a revision of the first international R-rule of 1907. The objectives had been met, however, on a meeting in Gothenburg in 1920 it was decided to continue the work within SSF as it proved valid for Scandinavian sailors to have a forum to discuss matters of common interest. Finland had been invited to join SSF, and at the same meeting in Gothenburg, Finland became member of SSF. The cost of building boats 8mR and above had increased to a level where most new constructions took place on yachts sized 6mR and less, 40sqm and new classes as the popular 22sqm. 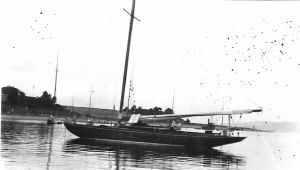 Although Scandinavian yachting experienced a recession compared to the years during the war there were quite a number of large yachts around, R(1907) yachts, S(1917) yachts, Swedish SQM yachts, 75kvm and older yachts used for cruising. As the number of new constructions within the large R (1919) classes was low discussion arose how to get the cruising yachts back into racing. This was of specific importance for the local yacht clubs with a variety of different yachts. In their meeting in Stockholm spring 1926, SSF established a committee with Benzon in Copenhagen (chairman), Herlin in Stockholm and Heickel in Helsinki to develop a suggestion for a common handicap rule within the Scandinavian countries including Finland. Denmark already had such a formula, the National Length Metre rule, and in Stockholm engineer Rasmussen made his proposal. Germany had the same discussion. Again the result had to be a compromise. The committee presented its result on SSF meeting in Copenhagen on Oct. 30th 1926 and it was agreed to recommend the national sailing federations to accept the suggested formula for handicap racing between yachts. Yachts to be divided in 3 groups, i.e. yachts less or equal to 6m, yachts above 6m less or equal to 8m, and yachts above 8m. Group division could vary and in Norway practized as yachts less than 8m, yachts above 8m less or equal to 10m and above 10m. In the same meting in SSF it was a common understanding that time was due for I.Y.R.U. to invite Germany to become a permanent member. The N.L. formula as presented favoured wide and shorter yachts. Denmark and Norway accepted the presented formula, while Sweden and Finland were more reluctant with their long SQM classes. All four races in the N.L. Class under KNS International regatta at Hankö in July 1927 are won by "Tamara VII" ex sH24 "Pingvin IV". Her owner is KNS President Halfdan Hansen. 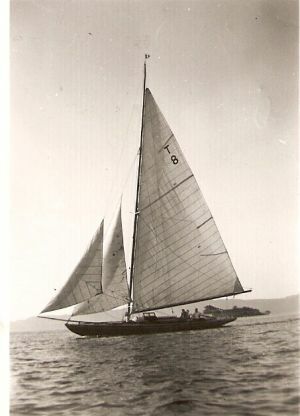 Halfdan Hansen later acquires the 1928 Olympic participant for Norway in the 8mR Class, 8N25 "Noreg 2" and names her "Tamara VIII". Eight Metre "Tamara VII" (Pingvin IV) is sold to Malmö, Sweden. As had happened with most handicap races the N.L. Classes did not last long on a Scandinavian level. One reason was the in 1928 more common use of overlapping jib (Genoa) which changed the basis for the formula and even more favoured the wide and shorter yachts. SSF decided that modifications to the N.L.formula would be internally within each national sailing federation. However the N.L. rule was welcomed by the local yacht clubs where it lasted for many years to come till the late 1960-ties, 1970 when SSF decided upon the Scandicap rule (S-rule of 1971). Several Cups originally to be raced for in defined classes, 6m Class, 7m Class and 8m Class where moved to N.L. 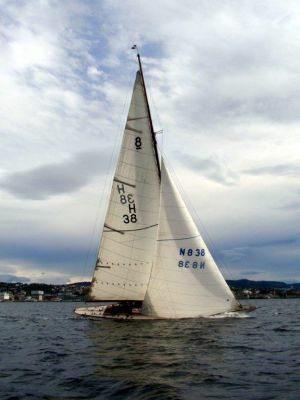 classes for competition, such as the Loennechen Cup raced for in Mid Norway and finally won by late Odd Östlund (1910 -2008) with 8m “Snarken” in 1965, ref. “Snarken” History part III. The N.L. rule was favoured by the local yachtclubs. For some years around 1930 sail racing no were locally listed. 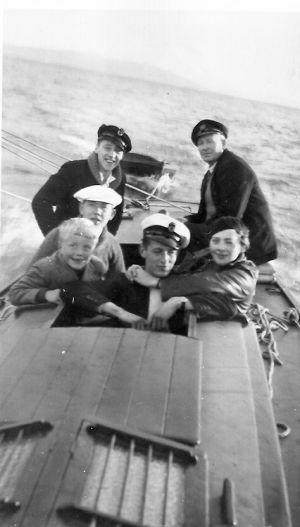 7mR (K6) "Komet" was in Trondheim (T) given sail racing no T8. 7mR (old) "Komet" on the Trondheimsfjord around 1930. Design Johan Anker, constructed by Anker & Jensen in Vollen, Asker 1911. "Komet" in the mid 1930-ties. 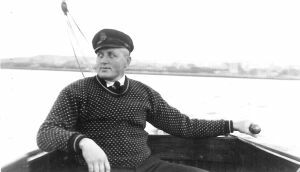 Owner at the time Christian Sörensen (father of my mother) at the helm.